It’s been four years since the first iPhone was unveiled, and in this short time our way of life has changed quite dramatically. The iPhone has become a super robot with mind-boggling capabilities. In a rapidly evolving digital world, what could be next in the development of iPhone and iPad apps? At its most basic this touch screen genius is everything from a simple diary, alarm clock and camera, to a newspaper, weather reporter and social networker. A GPS tracking system, route planner, world map, bookshelf, torch and even a universal remote control – and who knows what more is yet to come. Having developed iPhone applications at AutoAlert, we’re excited by what these advancements could mean for both business, and our future lives. iCloud will serve as a kind of ‘Floating’ hard drive. It stores all your music, photos, apps, documents and more, and wirelessly pushes them to all your devices. This means that if you update a file on your iPhone, it will be automatically updated on your iPad, computer and iPod as well – No synchronising needed. Exciting stuff, but I wonder how safe this would be for documents containing sensitive information? 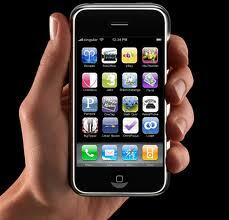 There is talk that the iPhone 5 may include Near Field Communication (NFC) Technology. This is the same technology used in swipe cards, and a phone containing an NFC chip could be used to make payments (like a credit card) or even serve as a keycard or ID card. Does this mean I can have my car, office and house keys on my phone as well? Brilliant, except…er, what if I lose it, what’s the security risk? Even the medical community is making use of these innovations. Apparently researchers are investigating the possibility of a nanosensor ‘tattoo’ that will be able to monitor sodium, glucose and blood oxygen levels. An iPhone with a nine-volt battery, LED’s and a camera filter attached could be used to track and record the tattoo’s changes in fluorescence, indicating levels of certain substances in the body. This would be a powerful tool for diabetic or anaemic patients. Is this a realistic possibility…and do we really need it? Then again, when haven’t we needed any of this mind boggling stuff?